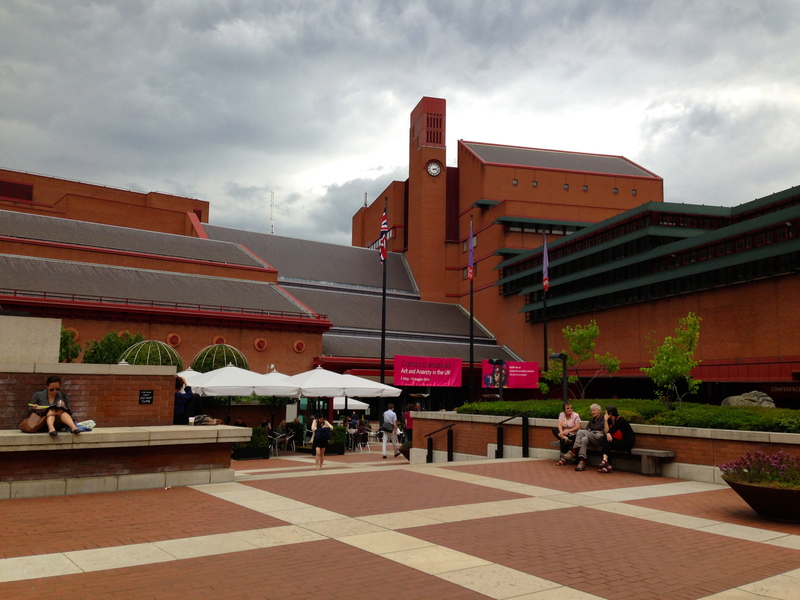 The arrival of the last Wednesday of our course brought about our final agency visit to the main offices of the BBC. 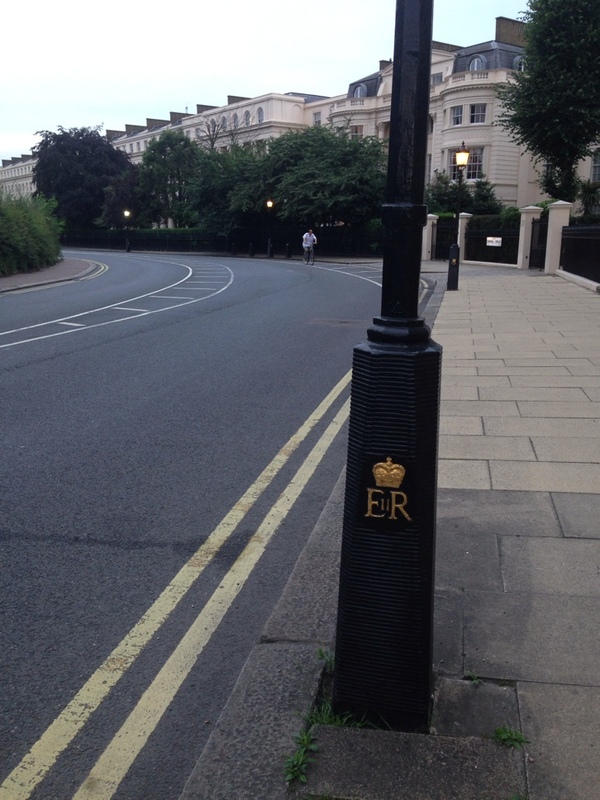 Headquarters was only a few blocks away from Regent’s University and is settled in the heart of Westminster. Our tour began with the tour guide explaining all of the services and productions the BBC provides. I was surprised to learn that the BBC is funded through a tax on British citizens. This tax ensures that all Britons have access to BBC content, whether it be television, radio or online news and entertainment. This funding method is also instrumental in the BBC’s efforts to remain impartial in its news coverage and to report on all sides of an issue. Next we were taken to another part of the building that overlooked the broadcasting giant’s enormous newsroom. As most of the building is fairly new, the newsroom had a modern, open-style concept. From above, we could see hundreds of journalists working at desks of two or three computers per person, writing copy, editing video or talking with their editors. 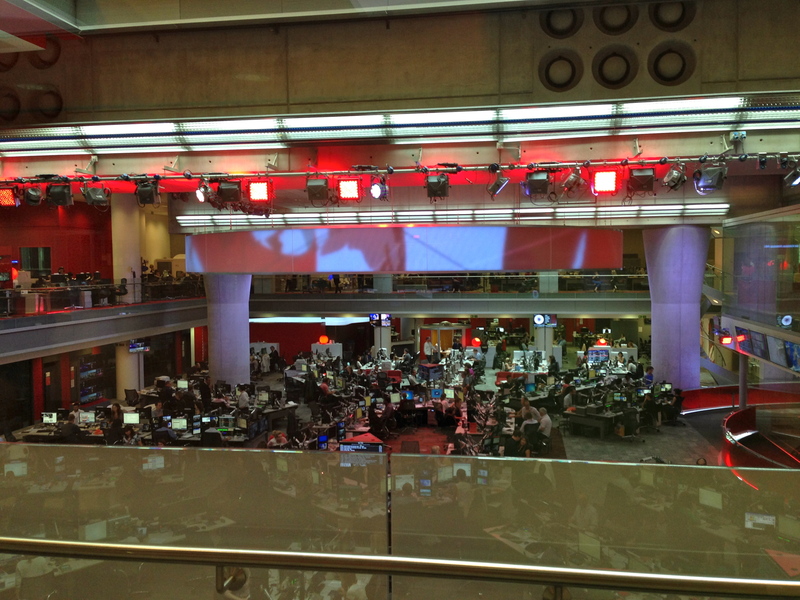 The tour guide explained that one side of the newsroom hosted the BBC’s journalists who focused on local or national news, while the other side reported on international affairs. He explained that before most of the BBC’s employees moved to the new building, most of the television, print and online journalists were separated across London. The move encouraged journalists from different media to interact with one another and work more efficiently. This story reminded me of how the School of Media and Strategic Communications stresses the importance of experience in different forms of media to effectively tell a story. Nowadays in journalism, reporters are required to use writing, video and Internet skills to tell stories and inform the public. The BBC is also reliant on the emerging sources and information coming from citizen journalism. With the extensive reach of social media, news agencies such as the BBC can pick up on news within minutes of it occurring thanks to people tweeting or posting pictures and videos online. As long as the citizen’s account is public, the BBC can use any photos posted for use in its newscasts and articles because they are legally free on the Internet. The BBC does require that two credible sources verify any story obtained from citizen journalists before they publicly release it. As the tour continued, we learned a little bit about the BBC’s involvement in World War II. 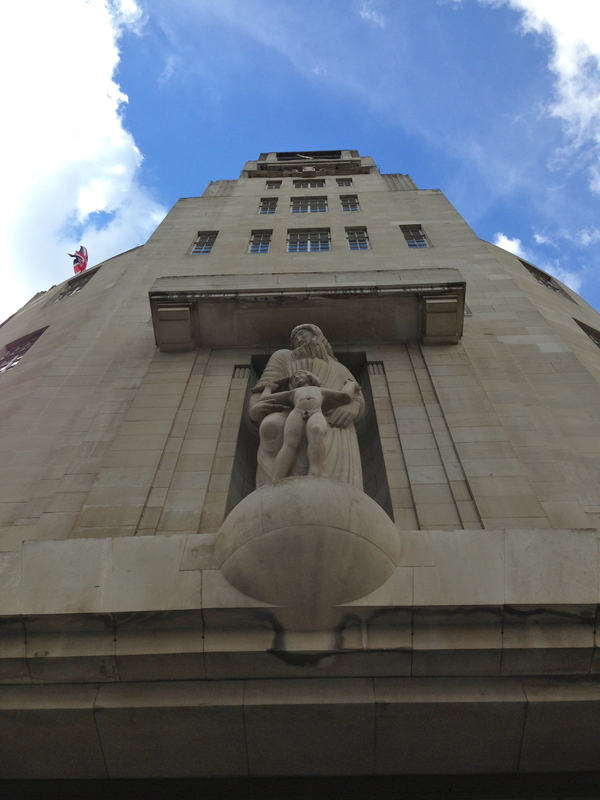 Founded in 1922, the BBC opened its first broadcasting agency in 1932. The original structure was built into the new building, but during the war its bright, white facade made it an easy target for enemy bombers. The BBC was bombed three times before employees poured oil on the building to shield it from attack. One bomb even went off during a live broadcast! The front side of the original BBC agency. We also headed to a mock recording studio to simulate the broadcast of a radio play. The idea of finding entertainment through a show through radio waves was fascinating to me since we usually only listen to radios in our cars back at home. It was interesting to see all the ways actors can create background noises with a variety of props to help set the tone or progress a story. During my second weekend in Europe I visited Paris on the Friday and saw Les Misérables on the Saturday. Feeling a little “Frenched” out, I decided to spend Sunday in Greenwich to visit the National Maritime Museum and see some of the sights on the other side of the Thames. Greenwich is a peaceful and quaint little town on the southeast side of London. 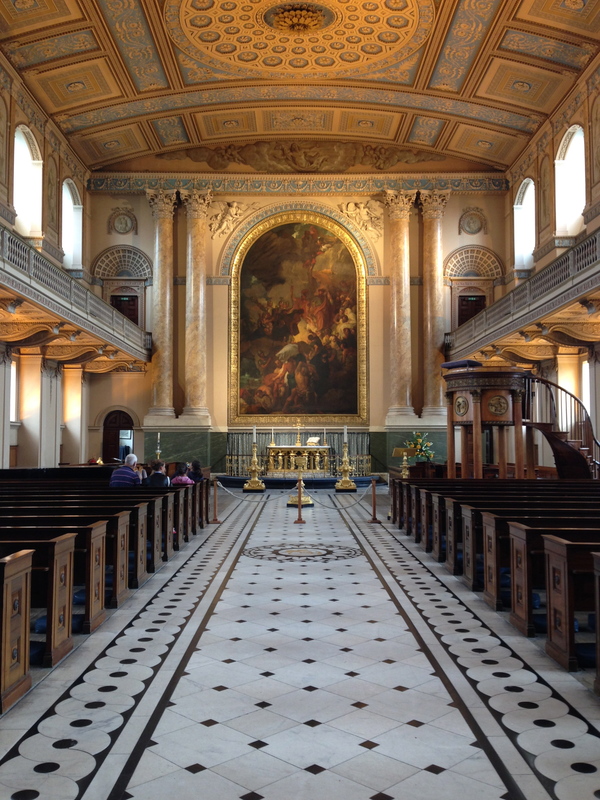 It has a nautical feel since it’s right on the banks of the river and is home to the Old Royal Naval College. 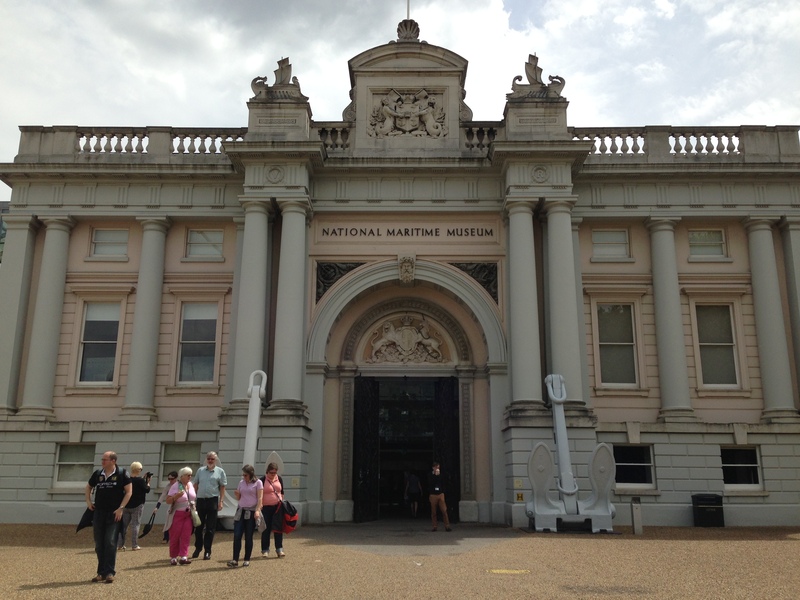 The National Maritime Museum in Greenwich. As a U.S. Navy brat, I’ve always been interested in things pertaining to navies, especially the U.K.’s since it has an impressive naval background. I wish I could have spent the day enjoying the area with my dad, who would have appreciated it even more than I. 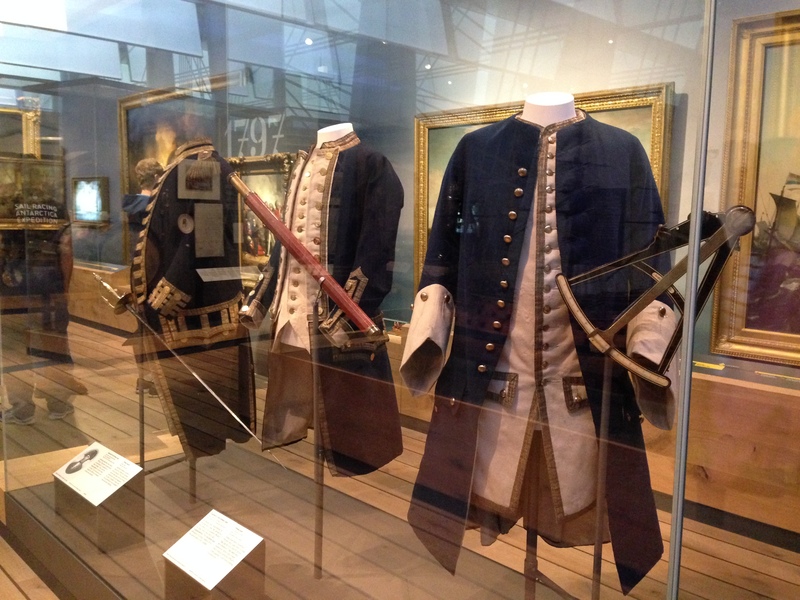 The first stop was the museum, which housed lots of interesting artifacts from different generations of the British navy. I learned that there was a convoy of British and some American ships that would brave the Arctic waters during World War II to bring munitions and supplies to the Soviet Union. The crews had to endure their ships freezing over in sheets of ice and the constant threat of torpedoes from German ships. 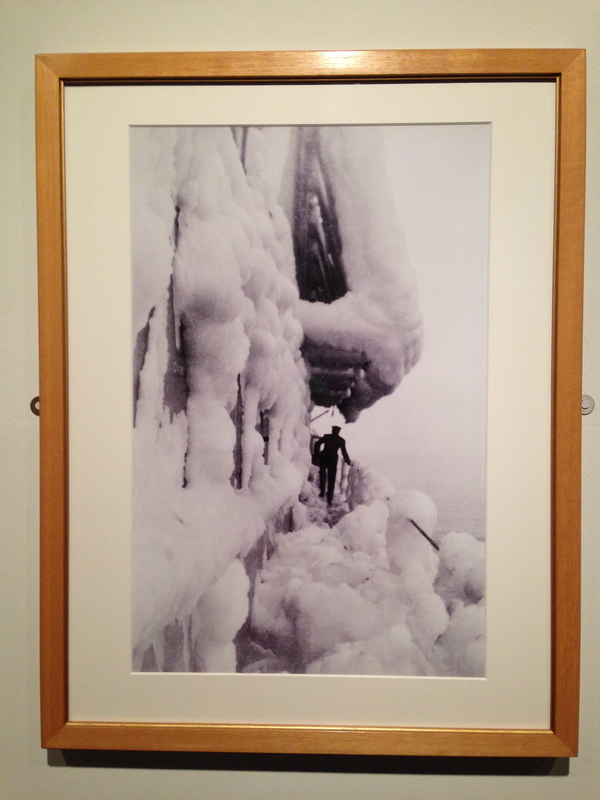 The HMS Lotus covered in ice, Summer 1942. 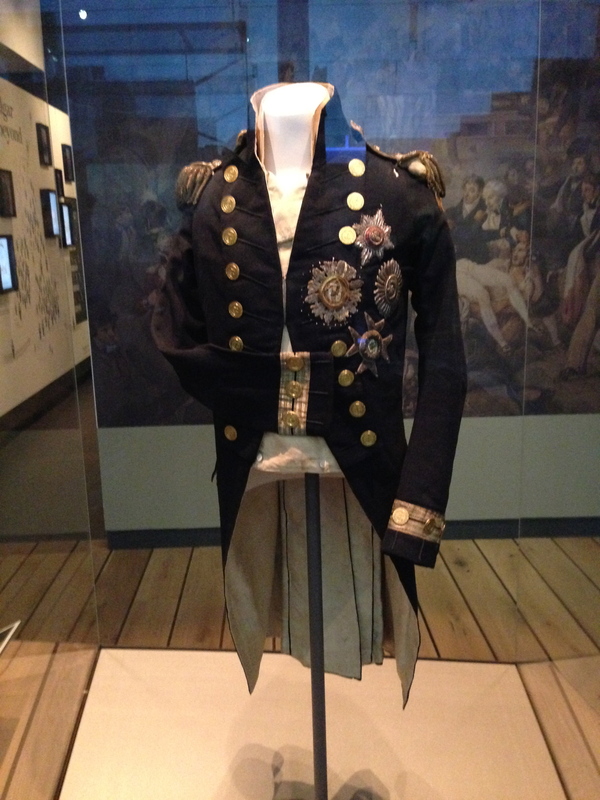 I also saw some surviving military uniforms from generals and admirals of the 19th century (awesome) and the breeches and stockings Vice-Admiral Horatio Lord Nelson wore when he was mortally wounded in the Battle of Trafalgar (eww). Apparently there was a competition after Nelson’s death to see who could paint the best “Death of Nelson” portrait. The winning piece was on display at the NMM. People from the early 19th century were strange. 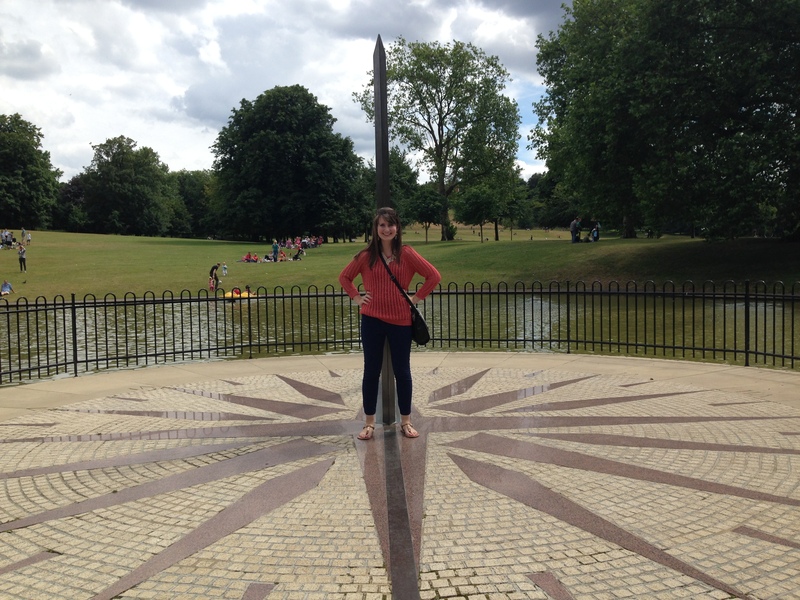 Since I was in Greenwich, I also tried to find the Prime Meridian so I could take a picture standing in both hemispheres. I trekked up a hill in Greenwich Park to the National Observatory (not fun) only to climb back down because I didn’t want to pay the £7 entrance fee just to take a picture, and I didn’t have time to see the rest of the exhibits. I figured the meridian would be marked at other places in the park seeing as it’s famous, but I ended up traversing the entire area with no luck. I even took a picture at a sundial that seemed as though it was the perfect place to mark a giant invisible line, only to realize it more likely passed through the tree 20 steps to the right of it. I’m not sure if the tree is actually where it was, but I’m sure I was at the Prime Meridian some way or another that day. My fourth grade dream is at last fulfilled. 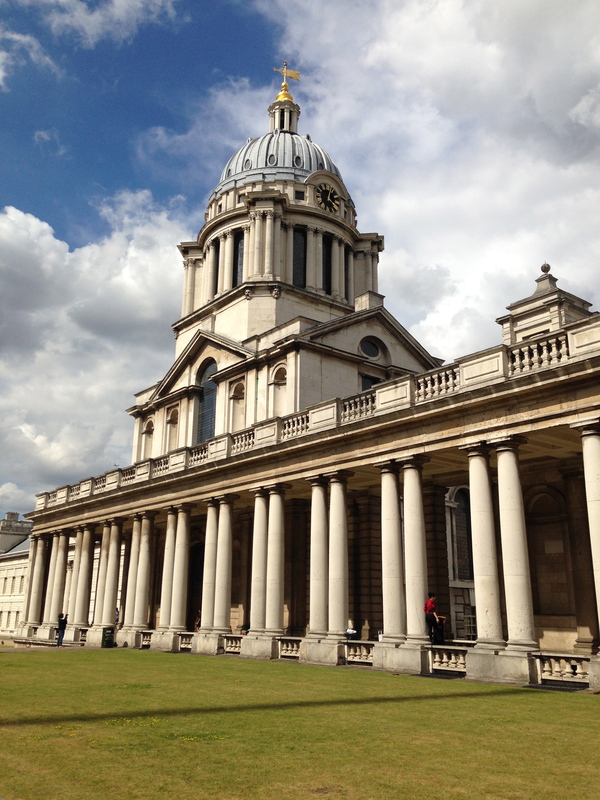 I finished the day off taking a stroll through the beautiful old naval college before heading back to Baker Street. The chapel was breathtaking to stand in. 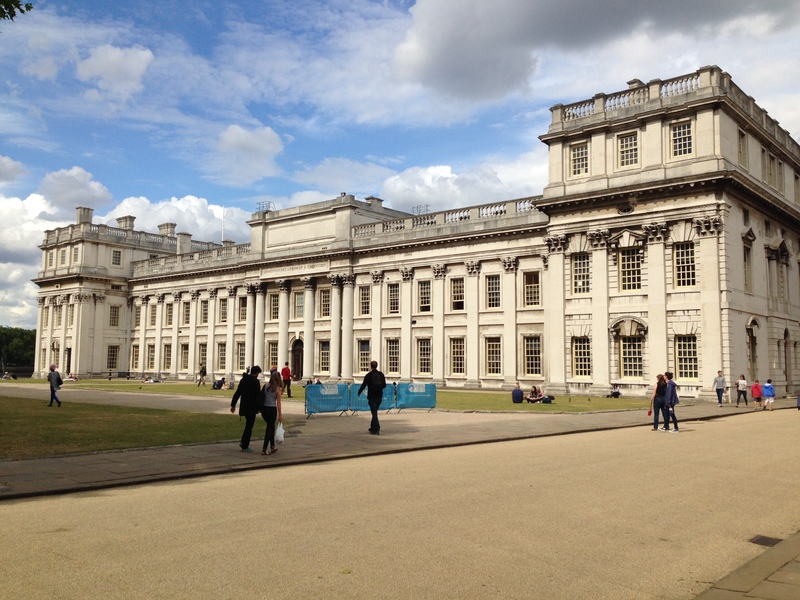 The grounds of the Old Royal Naval College. The exterior of the chapel. The stunning interior of the chapel. Some friends and I decided to break free from England our second weekend studying abroad in favor of checking out Paris before we left. 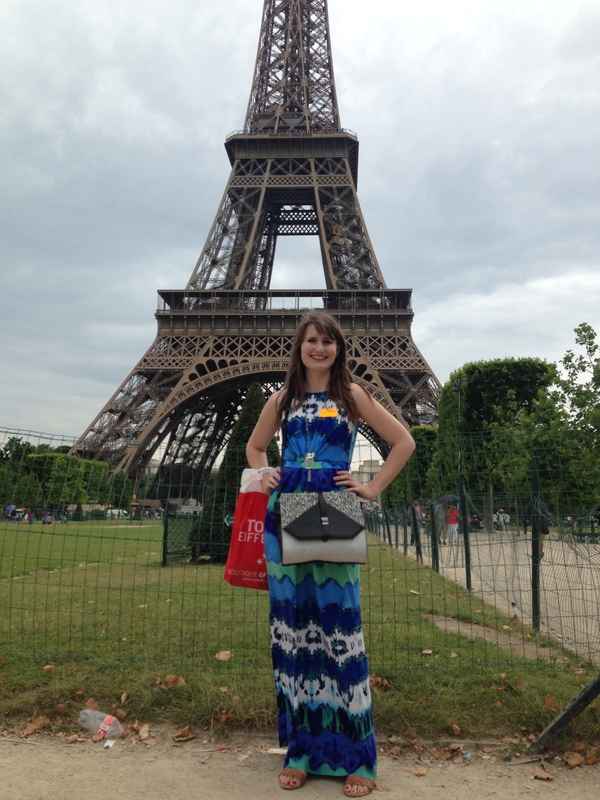 I had never considered visiting Paris before because the language barrier frightened me, but we ended up having a great time. We scheduled an English-language guided tour, which started off with us heading to St. Pancras station to catch the Eurostar train at 7 a.m. I hit a little snag in the road when I discovered that the travel company booked my train seat in a different coach from my friends, so I was riding solo during the trip there and back. 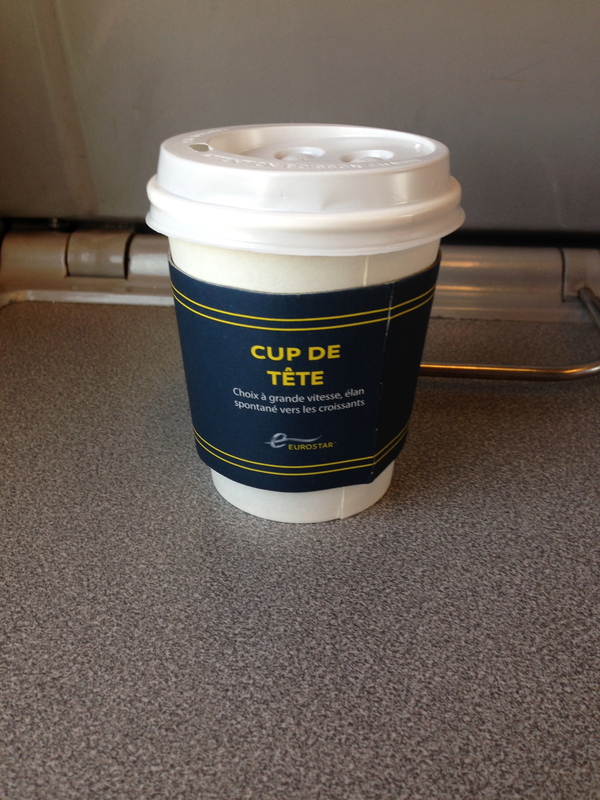 I was appeased, though, when Eurostar offered Americans a complimentary hot drink in honor of our Independence Day. I never felt more happy to be an American in Europe! The train took about two hours and once we stopped in Paris we quickly found our tour guide and hit the road in our coach bus. We drove around Paris to do some sightseeing, including the Arc de Triomphe, before making our way to the Eiffel Tower. 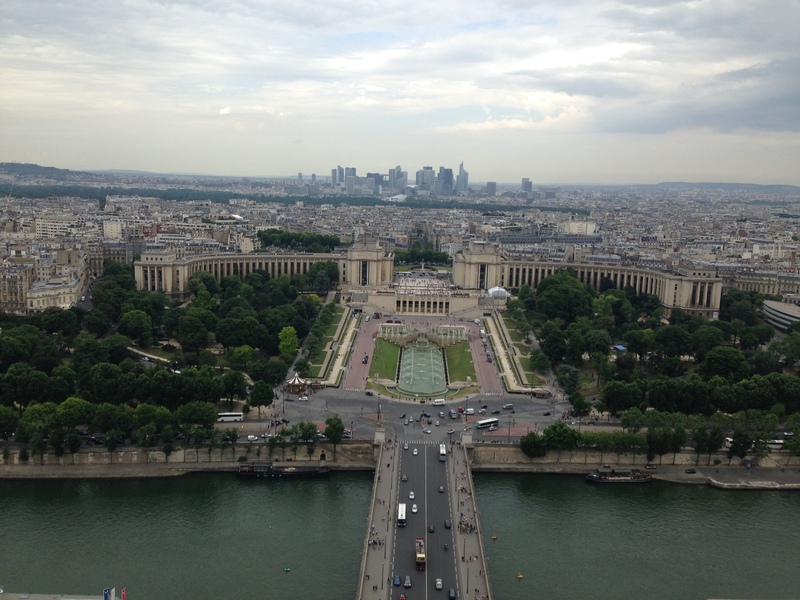 The day was overcast and a little rainy, but that didn’t ruin the spectacular views we saw from the top of the Eiffel. 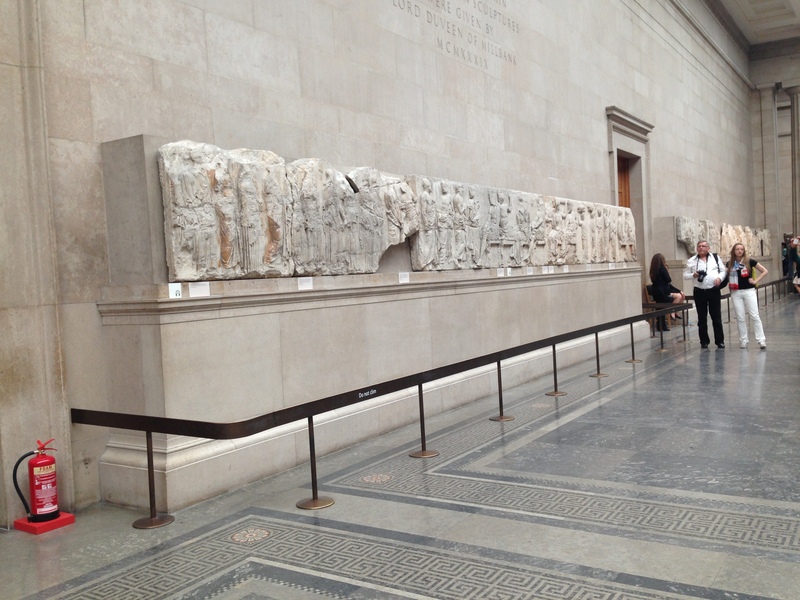 Paris stretches for miles in all directions, a stone and plaster forest into the horizon. The elevators were freaky, though. View from the Eiffel Tower overlooking the Seine. After getting back to ground level, I bought the most delicious crepe I have ever eaten before heading out on a sightseeing cruise on the River Seine. 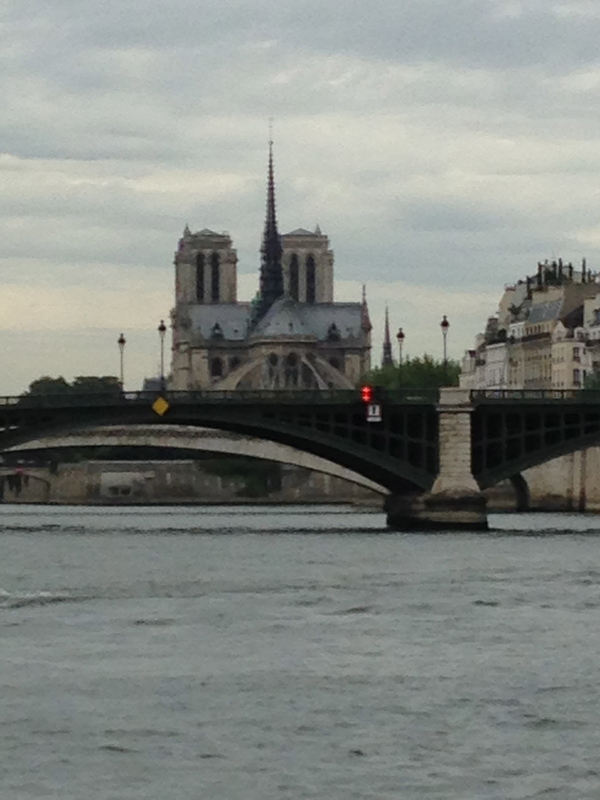 Luckily the rain had stopped so we got some great views of the Louvre and Notre Dame from our boat seats. 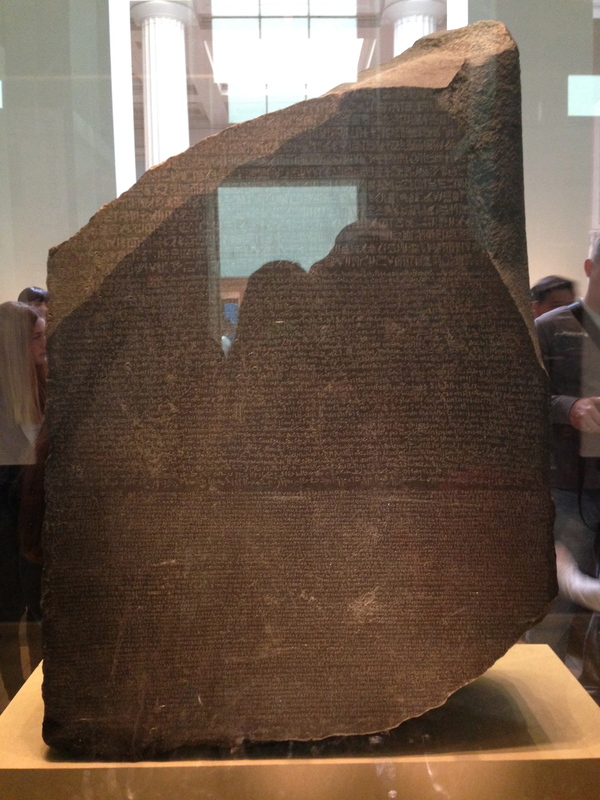 Next time I’m going inside this monolith. 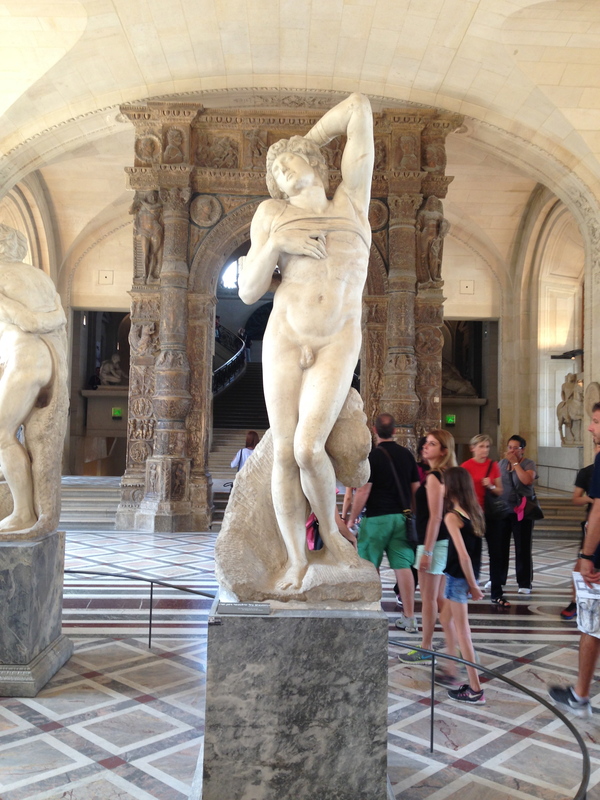 We headed to the Louvre to check out some of the incredible works of art housed within. 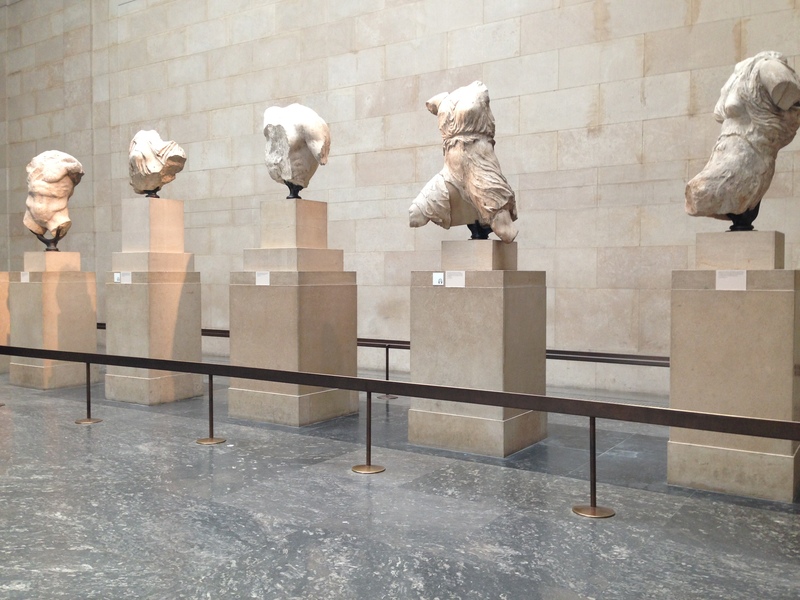 It is undoubtably the greatest museum I’ve ever visited and the most beautiful building. 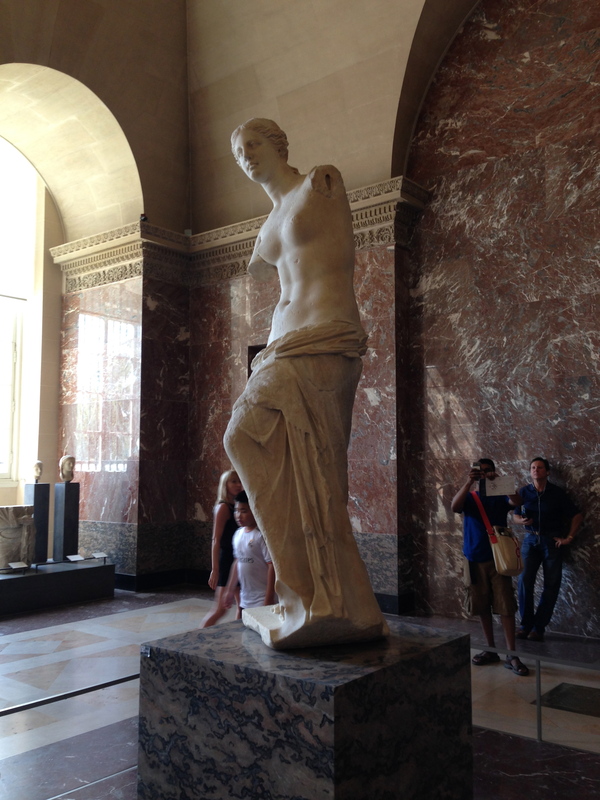 As you often hear about the Louvre, I only scratched the surface of what it holds, but I did see the Venus de Milo and other wonderful pieces. 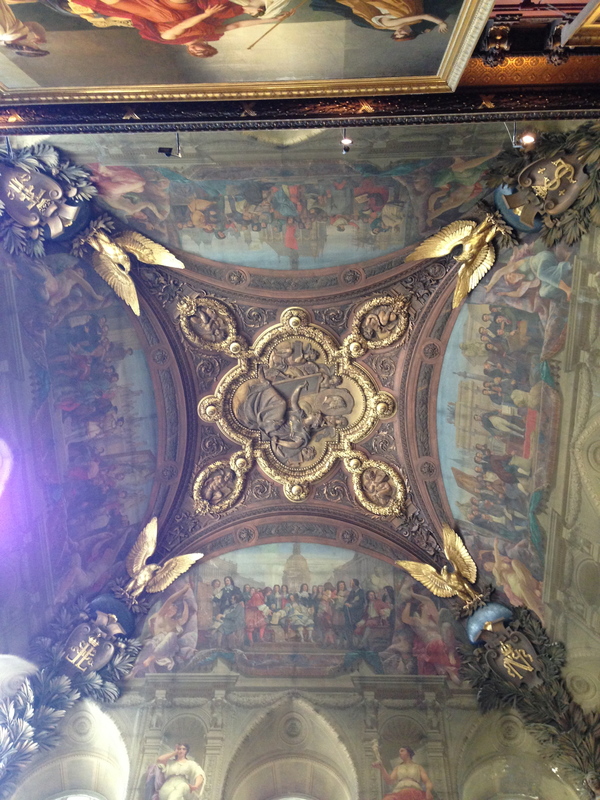 One of many spectacular vaulted ceilings in the Louvre. I was surprised at how many people wait in line to see the Mona Lisa when you can pass by its side and see it just as well. It’s a shame because there are some fantastic paintings surrounding it in the same gallery room. 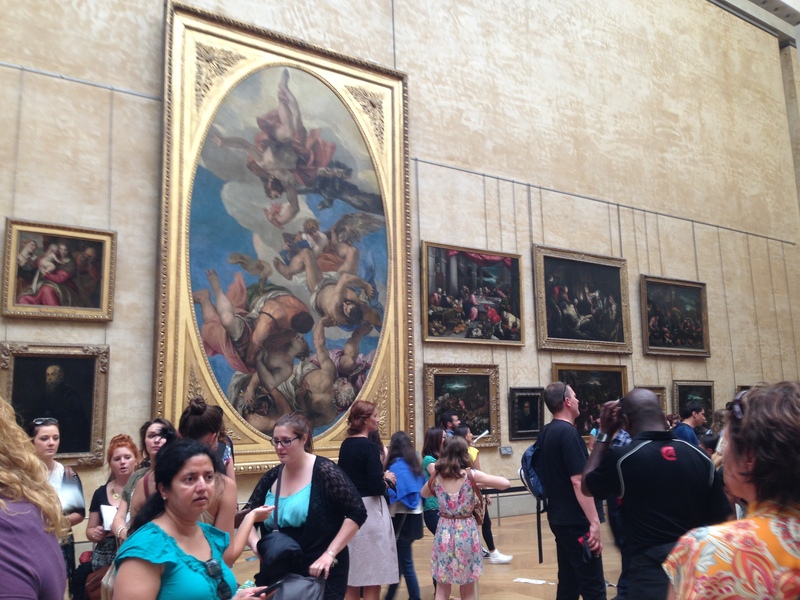 Some of the many paintings surrounding the Mona Lisa. 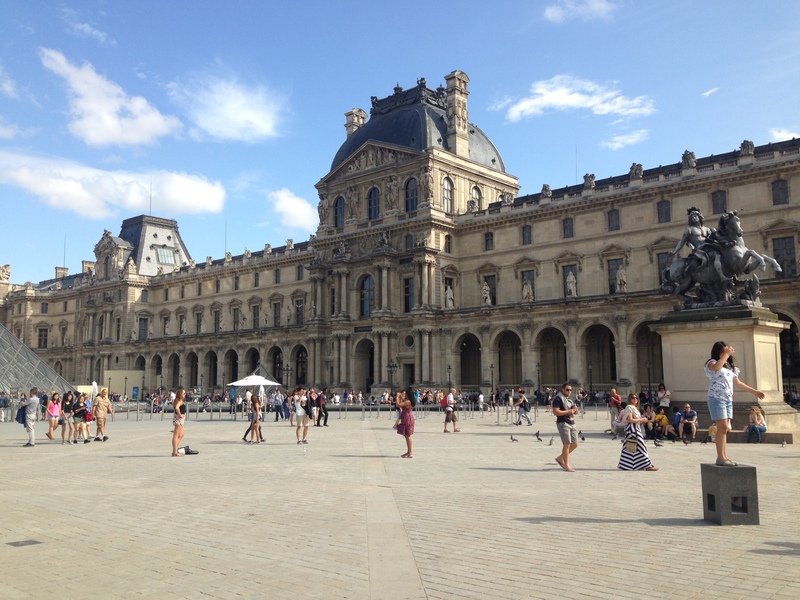 The Louvre from the courtyard. The architecture of the building is too beautiful for words. I look so tiny compared to everything! As our first week in London came to a close, some of my classmates and I were eager to get out of the city and explore other parts of the country. Some of us had already booked a day trip to Paris the following week, so this first weekend was our only opportunity to visit other places in England. Hunter, Diana, Rachael, Kacie and I settled on a guided day trip to see Windsor Castle, Stonehenge and the city of Bath on the first Sunday since arriving in London. 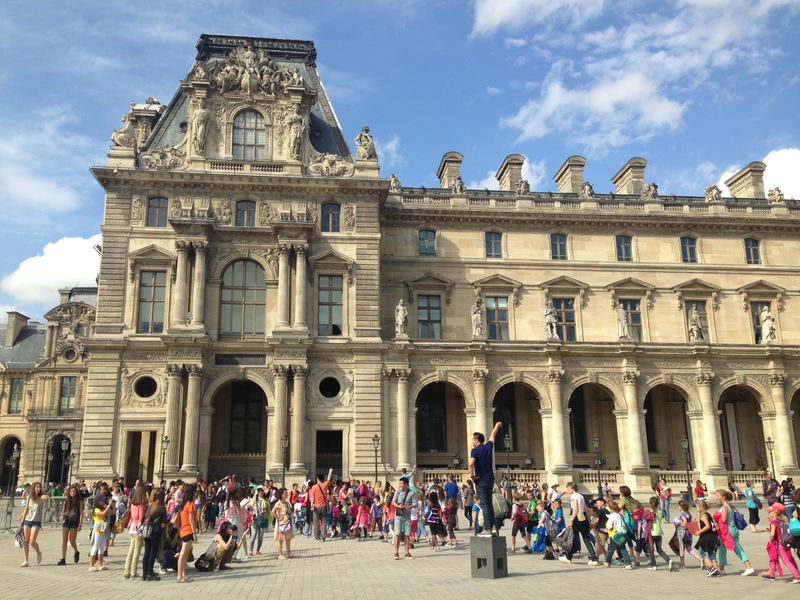 We booked the trip through the same company that would conduct our Paris excursion, so we were hoping the experience would also give us a taste of what to expect when we left for France. The trip did not start off auspiciously. We had knowingly reserved tickets that didn’t include the entrance fees to the attractions, but we were persuaded to upgrade our trip package with the entrance fees because it would be cheaper in the long run. After waiting at the ticket counter for the clerk to update all of our trips, we scrambled to find our coach bus. I felt a lot more relieved once we were seated, and we left shortly after. 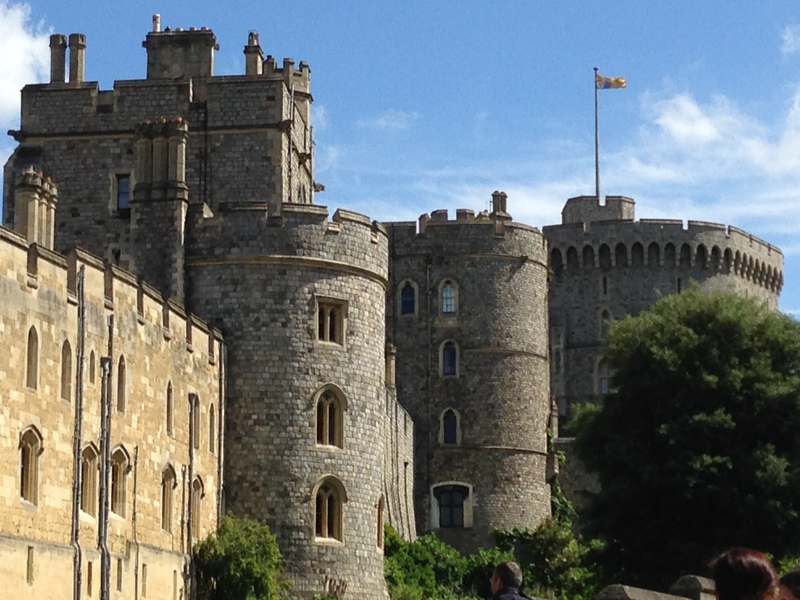 We headed to Windsor first, which was about 30 minutes outside of London. 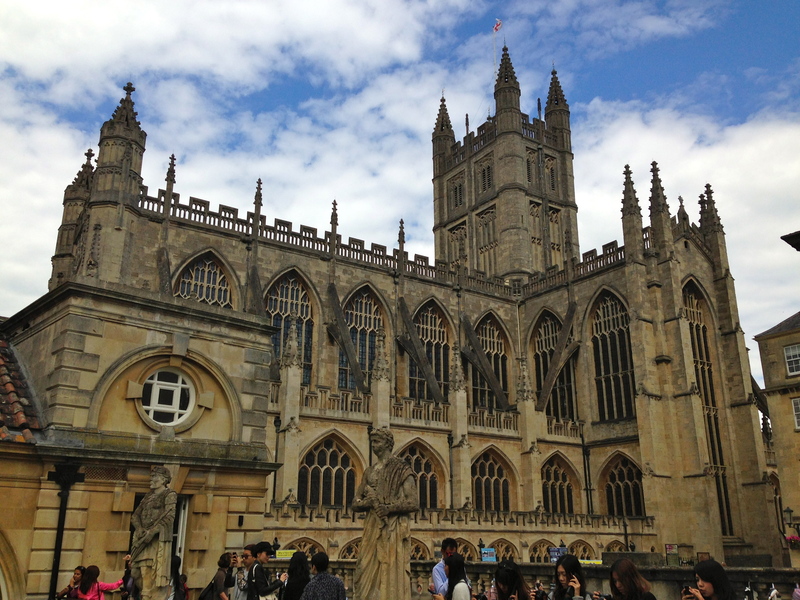 We decided to forego the tickets into Windsor Castle and visit Stonehenge and the Roman baths in Bath instead, so we grabbed a quick bite to eat at a cafe outside of the castle grounds and then shopped around the town for a little bit. 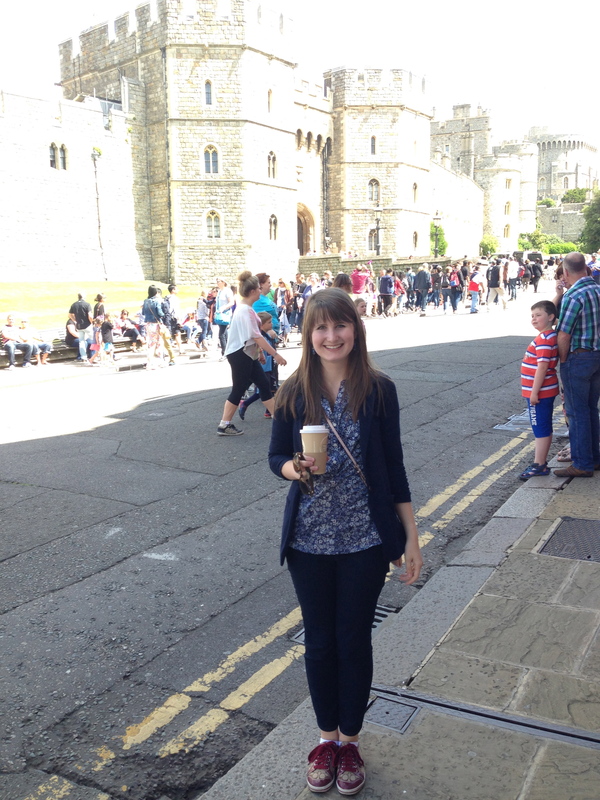 The Royal Standard was flying over Windsor Castle, though, which meant that we were in town the same time as the Queen! Enjoying some breakfast next to the castle. Not two hours later, we were on the road again heading to Bath. The architecture is exquisite there, with beautiful Georgian buildings made of limestone. 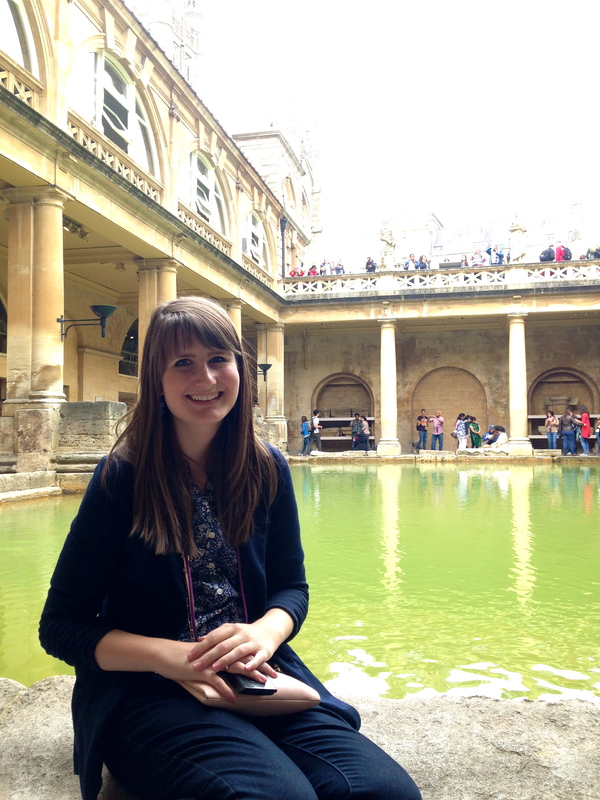 We took a tour of the Roman baths as well. 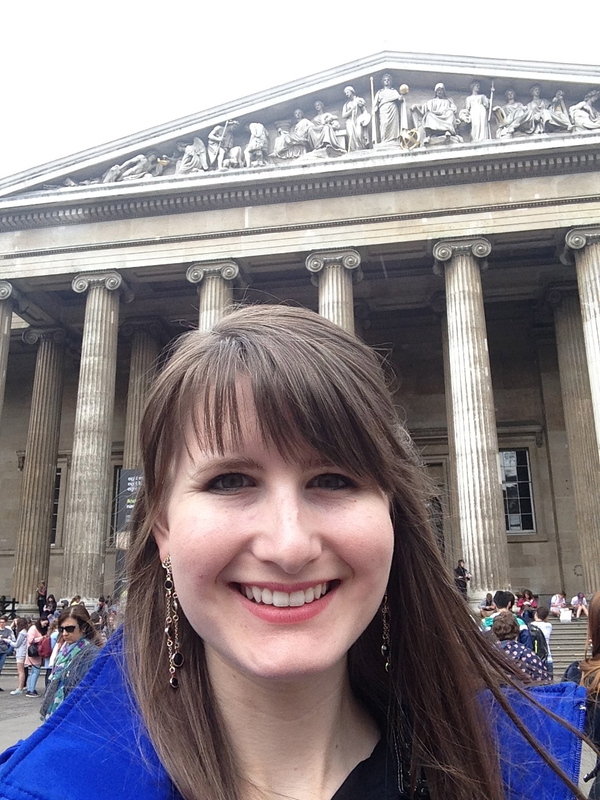 It is incredible to think about the Romans being in England and their structures still standing today! Unfortunately our time was also limited, and we were once again on the road, this time towards Stonehenge. 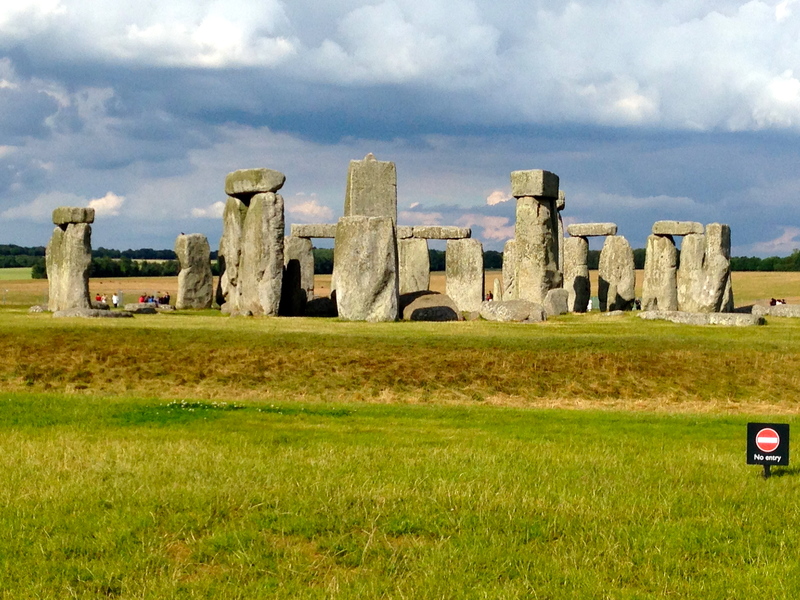 I knew little of the history of Stonehenge, but that was OK, since the experts know little, too. It was interesting to learn that researchers believe it was some sort of burial ground that people would visit for healing properties. Stonehenge in the late afternoon. 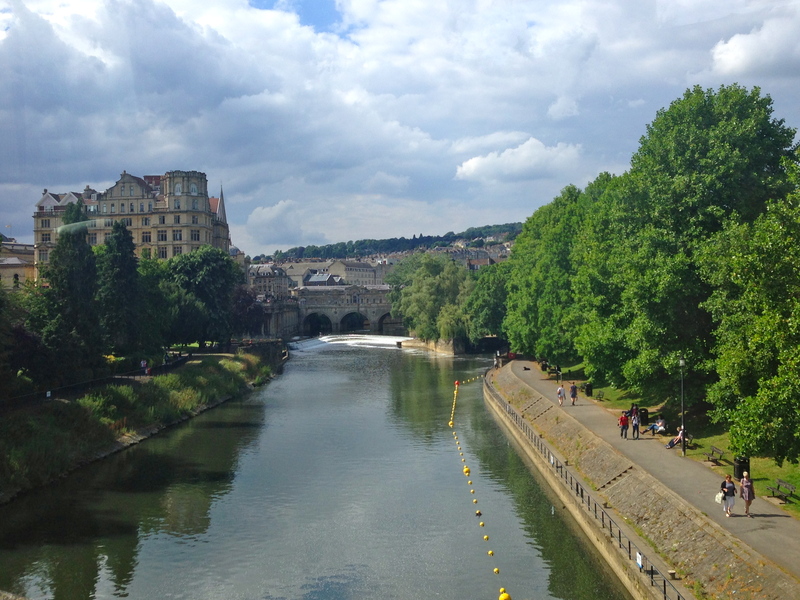 Overall I wish we could have spent more time in Bath, but we were all exhausted by the end of the day! Sitting in the bathing room. Lynx is a line of men’s body products and fragrances that is distributed across the United Kingdom, Ireland, Australia, New Zealand and the People’s Republic of China. Unilever, an English-Dutch company, launched Lynx in the U.K. in 1985 after introducing it two years earlier in France under the name “Axe.” Copyright infringement issues forced Unilever to rebrand their product for use in the U.K., though the company retained the line’s original name when it began to sell the product in the United States in 2002. Lynx enjoys great economic success, with more than eight million men using its products every day, according to Unilever’s website. Much of this is accomplished through clever media campaigns that aim to encourage young males to buy Lynx to increase their desirability toward women in a humorous light. Lynx is famous for their comedic television advertisements that usually revolve around a male character using the product to improve his sexual prowess. The advertisements range from being tongue-in-cheek to crude humor. When the brand launched Lynx Peace, its newest addition to the body product lineup, it produced a one-minute commercial that promotes both the product and the idea of peace across the globe. Part of the campaign for Lynx Peace also relied on social media. Lynx’s YouTube channel uploaded a video where the new product “invades the U.K.” with the design of peace symbols throughout U.K. urban and rural settings using lights, graffiti and even people. This campaign encouraged the idea of spreading peace through artistic means. The use of music without lyrics also doesn’t restrict viewers of different languages from understanding the video’s message of universal peace. Lynx also conducted a photograph competition through Instagram called “Make Moments Not War.” Customers were encouraged to send in photographs showing what they think peace looks like using the hashtag #lynxpeace and tagging them to Lynx’s Instagram account. The eight winners each received an iPhone while other participants’ photos were showcased on the competition’s main website. Lynx uses print advertisements as well, with many of their posters showing content similar to their television commercials. They also use video boards that display 15-second advertisements showing different fragrances of Lynx body wash throughout areas such as the London Underground. Lynx is targeted to teenaged boys and young men aged 16 to 24. The brand recently introduced a new line called “Lynx Attract For Her,” which is targeted toward young women in the same age range. Lynx’s promotional campaigns center on the idea that men can increase their desirability and enjoy successful interactions with women when using their products. The brand’s strategy relies on humorous television and print advertisements that can be shared through social media along with interactive campaigns. This campaign strategy could be successful in other countries because its message of increasing male desirability is applicable to the desires of members of the target audience in other countries. The humor in Lynx advertisements also makes the product memorable and unique compared to other advertisements for similar products. Lynx’s communication methods are an example of a global strategy to market the brand. 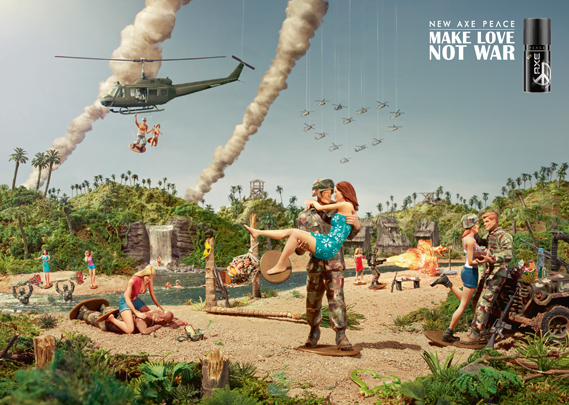 Many of Lynx’s television commercials, including the “Make Love Not War” advertisements, are also used for Axe’s campaigns with logo changes. Axe’s media campaigns in the U.S. differ somewhat in cultural aspects, particularly with their social media campaigns. When Lynx introduced its “Make Moments Not War” Instagram competition, Axe launched its own interactive campaign encouraging people to send pictures of them and their partner with the hashtag #kissforpeace. This campaign focused more on Americans’ affinity for love and companionship as being a source of peace while the U.K. version focused on seeing the public’s artistic and intellectual renderings of peace through photographs. Axe also differs in that it relies more heavily on promotional partnerships with movie releases or celebrity endorsements. It also hosts more promotional parties across the country to market the Axe brand. D.O.G. No. 5: Mayors of Paris? 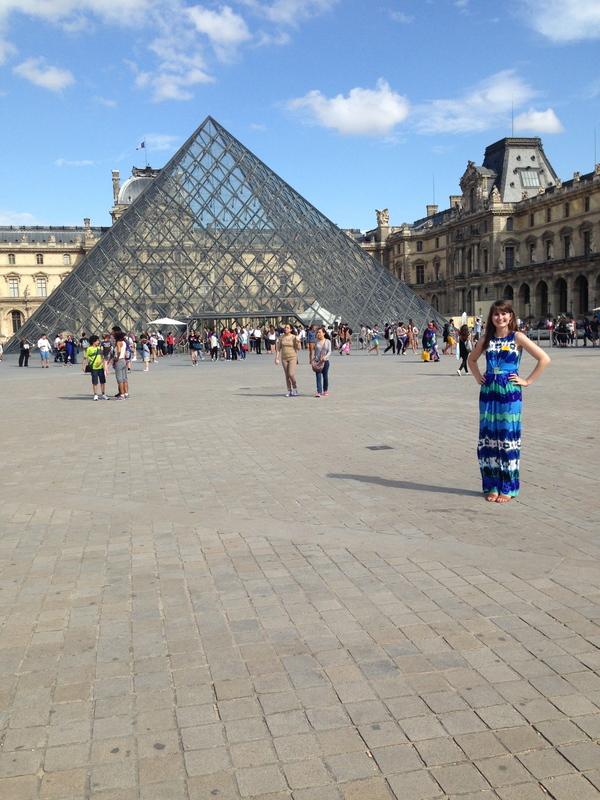 I visited Paris on a guided day tour with some of my classmates Friday in an effort to break free of the island life. After hopping off the Eurostar, our tour guide Jean Paul gave us a quick “French history for dummies” commentary as we made our way through the city on our coach bus toward the Eiffel Tower. After recounting every French dynasty and republic from the past 2,000 years (there’s a lot), Jean Paul explained the structure of Paris’ city government. Paris is divided into 20 districts, and each of those districts has its own city council. Working in city government myself, I was astonished that there was more than one, but after thinking about how large Paris is and the variety of people there are, it made more sense to have a broader range of representation. Ultimately, Parisians don’t have much of a voice in who ends up representing them as the official mayor, which I think is pretty interesting. I don’t know if other cities, even American ones, operate like this one, but I know there are large cities out there with one council. A thought-provoking concept to consider this Independence Day weekend. The digital marketing agency 360i is working to help brands optimize their brands through digital content. Our class had the opportunity to visit 360i’s London office Wednesday to hear about how the agency works with digital media to find new ways of advertising their clients’ products. Edwina Johnson, production director, and Kieran Bass, SEO director, hosted our visit and spoke to us about some of their programs and operations. Johnson and Bass explained that one of the main activities of 360i is to look at what is being said through blogs, forums, social networks and video sharing sites to determine what the public is saying about a particular product or brand. They do this with several subscriptions to data-collecting softwares that can track comments and sort them based on topics and types of communication method. The teams at 360i then conduct human analysis on these comments, searching for positive and negative connotations. Johnson said that this process is particularly crucial to 360i’s research because it helps track sentiment in the comments that are made. She noted that this part of the process can detect whether a comment is sarcastic or insincere, a level of detection that a computer software cannot discern on its own, necessitating the human element to the collection. These findings are helpful to 360i as it begins to plan strategy for its clients’ advertising campaigns. The agency will first determine the value of a product or brand by taking into account who the consumer is, how the consumer views the company doing the advertising, what category of products it falls under and what type of culture the campaign is targeting. After establishing this, they can then form a strategy based on what type of “currency” they have with the product. This “currency” is identified as what the brand has to offer that will help sell it to consumers. After that is complete, the strategy can be set into motion, changed for optimization and later be measured based on the results. Bass commented that many Millennials are more concerned about status than savings. He compared today’s generations to those of the past who would collect coupons to save money at the store. Nowadays, people will be more receptive to something that has prominent exposure on the Internet or through other forms of media because it appeals to our need for self-worth despite potentially high prices. The agency is also working with search engine optimization (SEO) to try to promote its clients. SEO is the process of making changes to the structure of a website with the use of links or other content that makes the site more visible. In theory, this content could help boost a website’s placement on a search engine results page because the search engine recognizes this abundance of content when making a search and considers it a helpful resource. I found this topic interesting to hear about from 360i’s perspective because I have dealt with this issue through my internship at the city of Stillwater, Okla. My colleagues and I are often trying to find new ways to raise the city’s website higher in search engine results, while competing for top placement with Wikipedia pages and other cities called Stillwater across America. Hearing 360i explain SEO as a free and effective means of advertising for their clients was a clever and resourceful way of finding more outlets to promote a product.